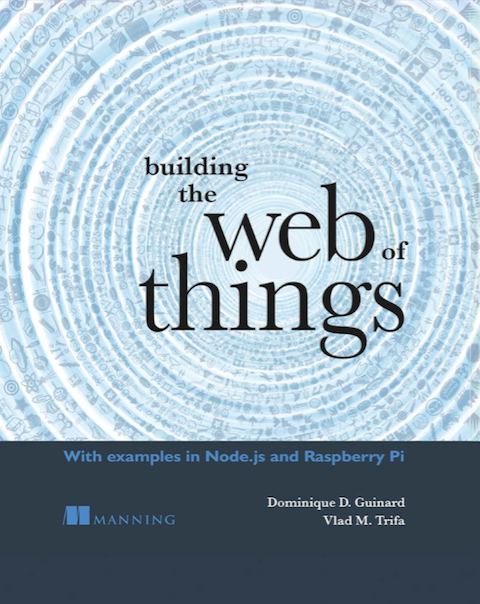 Together with Vlad and Erik Wilde, we’ve been trying since a while to write a scientific paper out of our common technical report that would sum up the founding concepts of the Web of Things. The paper finally got accepted for IoT 2010. This is a good sign because it emphasizes the fact that the Internet of Things community is now really looking into Web standards as a candidate common integration bus for the application layer of the physical world. A fact that did not really hold two years ago, when Erik’s attempt to publish a WoT paper at IoT 2008 did not succeed. RESTful principles that have already contributed to the popular success, scalability, and modularity of the traditional Web. We then discuss several prototypes designed in accordance with these principles to connect environmental sensor nodes and an energy monitoring system to the World Wide Web. We finally show how Web-enabled smart things can be used in lightweight ad-hoc applications called “physical mashups”. Enjoy the paper here, feedback is very welcomed! View more presentations from Dominique Guinard. Next story RFID for the REST of us! Previous story Urban-IOT soon (and program ready) – join us in Tokyo! ARM to lead the IoT? We have been looking at using XMPP for some projects. Have you looked at it. It provides a number of useful features, that I would rather not implement over again. Presence is one thing that keeps coming up in my work (smart energy and HAN). Is the device connected, able to talk, some piece of the network down between the sensor and the server? These are really hard problems to solve. Nice slides, good luck with your talk. Hey Doug, we did look at XMPP and did use it with one of our frameworks. It’s a great system and a nice way of doing pub/sub. However, it is not RESTful, i.e., not exposed to the Web as much as we’d like it to be: it does not run in a browser without additional software, is not really exposed to search-engines and is not browseable.